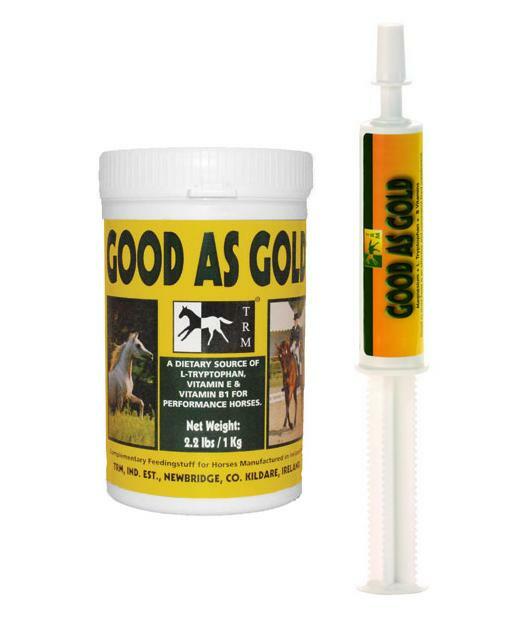 A 100% natural feed supplement, TRM Good as Gold can be used to help treat anxious, nervous or temperamental horses. 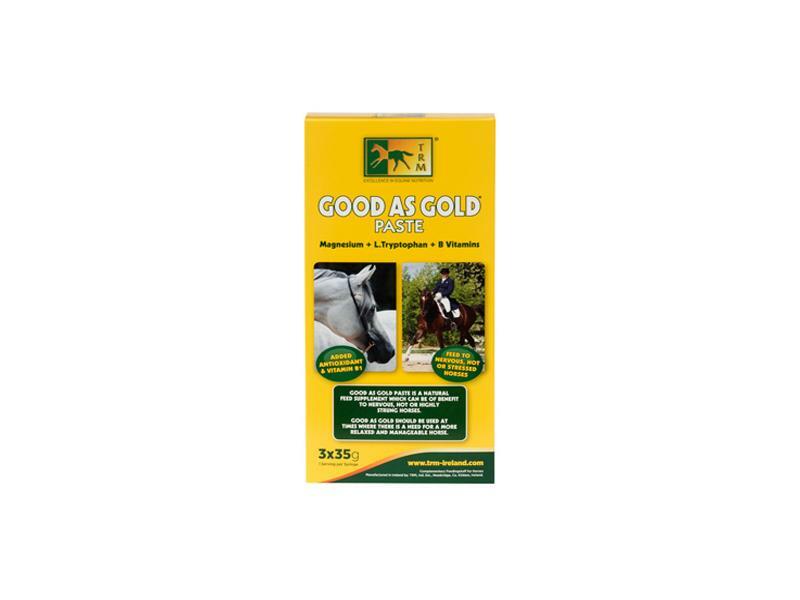 With high levels of L-Tryptophan, Vitamin B1 and Vitamin E, Good as Gold is a quality supplement can be of great benefit to highly strung horses and ponies. Available as a powder or paste. Feed half a syringe the morning before a competition. Where necessary feed half a syringe the evening before a competition. There are currently no questions for TRM Good As Gold for Horses - be the first to ask one!